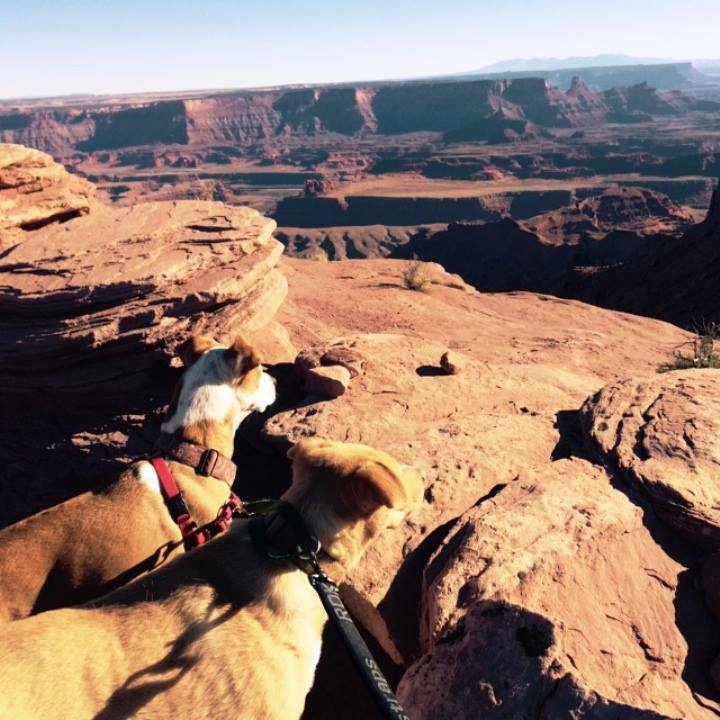 Like all of the Utah State Parks, Dead Horse Point is dog friendly! 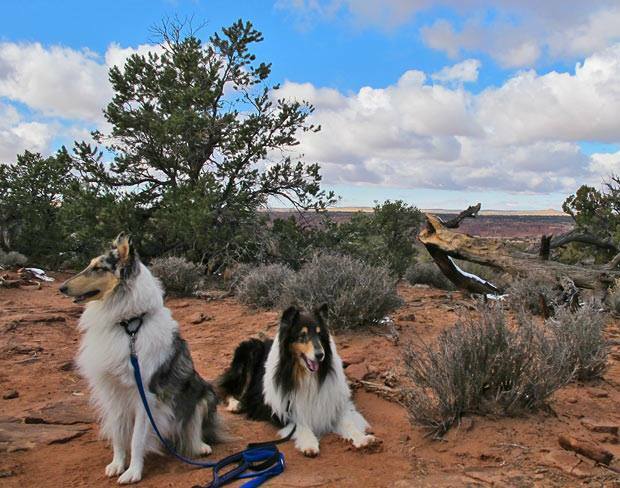 You may bring your furry friends on all hiking trails in the park, and into the campground. While doing so, we ask that you respect the following guidelines…. In addition to protecting wildlife and sensitive biological soil crust, this also keeps your pet safe. Sadly, many dogs have been lost over the years while chasing objects or small rodents over the cliff side. Dogs and fast moving bikes often don’t mix well, and leashes have the potential to act as trip wires. Please stay on the hiking trails if you’re bringing your pet along. We apologize for any inconvenience, but we are unable to accommodate pets in these structures. This is due to the small number of yurts available, and the unexpected danger that pet hair can pose to those suffering from severe allergies. Due to extreme heat danger (see below), we also cannot allow guests to leave their pets in vehicles while they are staying in the yurts. Please keep in mind that on even a moderately warm, sunny day, the temperature inside your vehicle can quickly exceed 140 degrees Fahrenheit (60 Celsius). Neither cracking the windows nor leaving water will allow your pet to survive under these conditions. For your convenience, dog waste bag dispensers are located throughout the park. 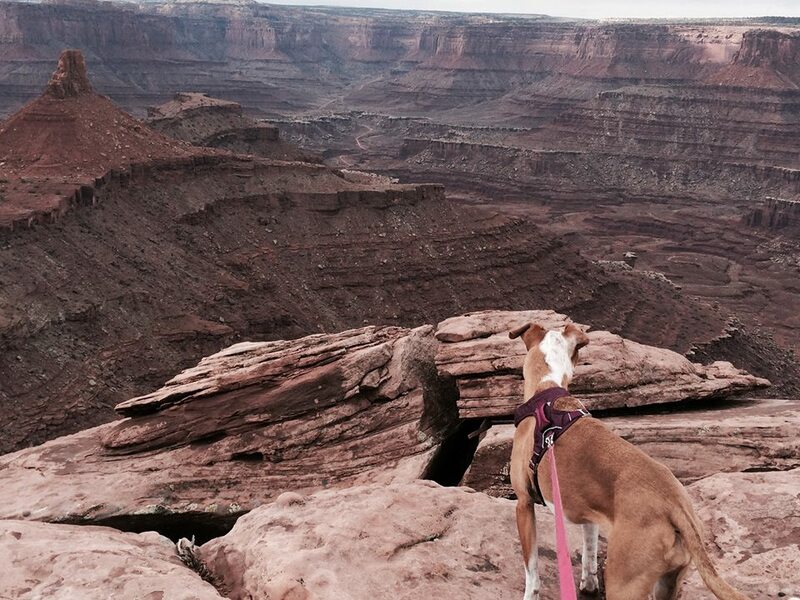 Help us keep Dead Horse Point clean! If you have any questions about these policies, feel free to ask a park ranger for guidance. We hope you and your animal companions have fun out there!